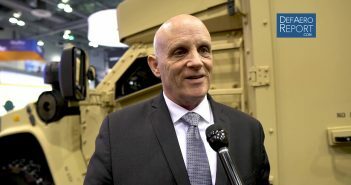 John Bryant, president of Oshkosh Defense, discusses the new ambulance version of the company’s Joint Light Tactical Vehicle, cuts requested by the US Army in its 2020 budget request that would stretch out the program, the Family of Medium Tactical Vehicles and more with Defense & Aerospace Report Editor Vago Muradian. 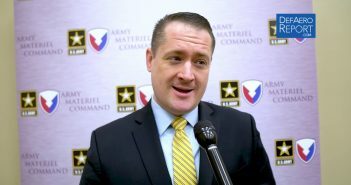 The interview was conducted at the Association of the United States Army’s annual Global Force Symposium and Exhibition in Huntsville, Ala., where our coverage was sponsored by L3 Technologies and Leonardo DRS. 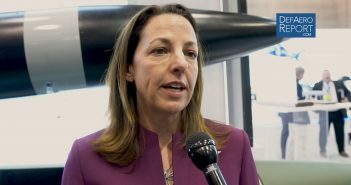 Gaylia Campbell, the vice president for precision fires and combat maneuver systems at Lockheed Martin, discusses the company’s portfolio of precision fire systems programs, efforts to increase range and supportability with Defense & Aerospace Report Editor Vago Muradian. 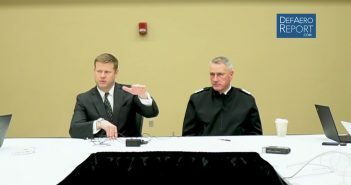 The Interview was conducted at the Association of the United States Army’s annual Global Force Symposium in Huntsville, Ala., where our coverage was sponsored by L3 Technologies and Leonardo DRS. Tom Karako, the director of the missile defense project at the Center for Strategic and International Studies, discusses successful US national missile defense test on March 25, 2019, the Trump administration’s “masterpiece theater” 2020 defense budget request and the need for a space sensor to help detect more advanced threats like hypersonic weapons with Defense & Aerospace Report Editor Vago Muradian. 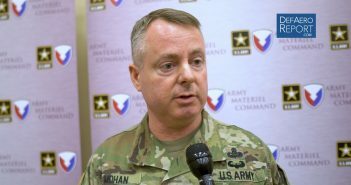 The interview was conducted at the Association of the United States Army’s annual Global Force symposium and conference in Huntsville, Ala., where our coverage is sponsored by L3 Technologies and Leonardo DRS.